Moves the front swaybar mounts on the chassis forward by either 0.6" or 1.1". Assists setting up a car with an aftermarket K-Member, or front control arms which move the front wheels forward relative to the swaybar. When the control arms move forward, clearance problems may arise with the front swaybar. The ends of the swaybar could hit the front struts or the swaybar end links may be misaligned with the swaybar or control arm. Requires proper bar diameter universal swaybar bushings because the stock swaybar brackets and bushings do not fit the relocation bracket. 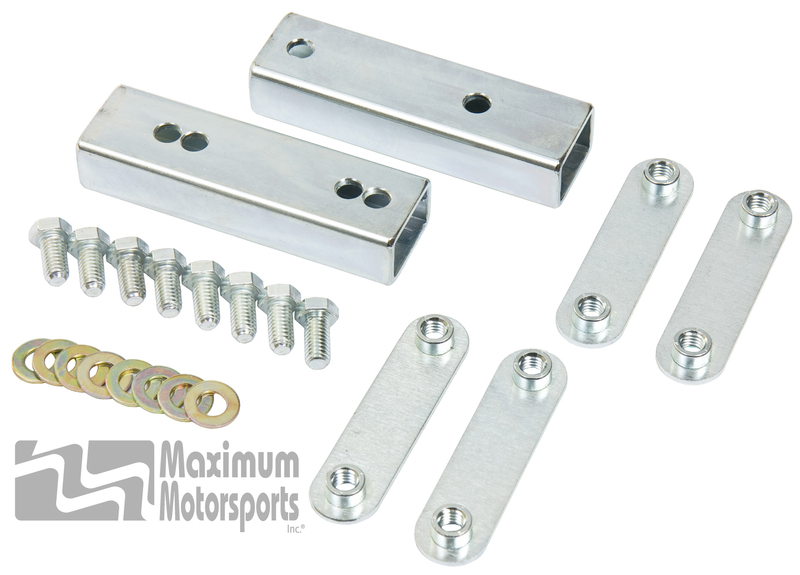 On a 1979-93 Mustang, it is strongly recommended that you also purchase a Front Swaybar Bracket Reinforcement Kit (MMFSB-60) with this kit.